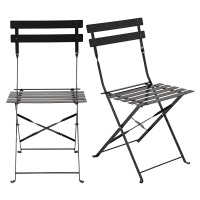 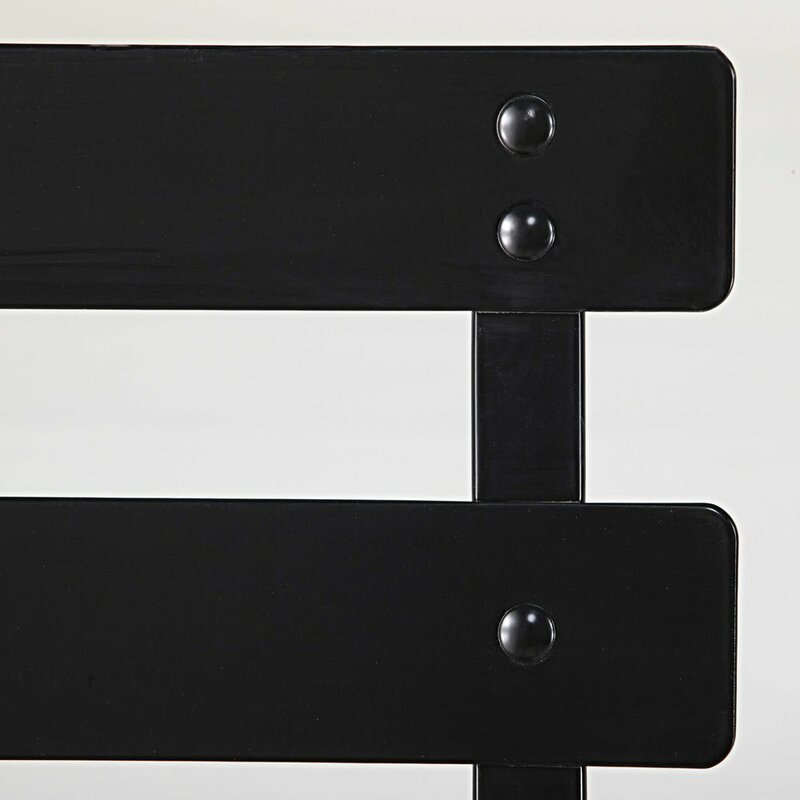 These charming GUINGUETTE 2 black metal folding chairs are so reminiscent of Parisian terraces and bistros. 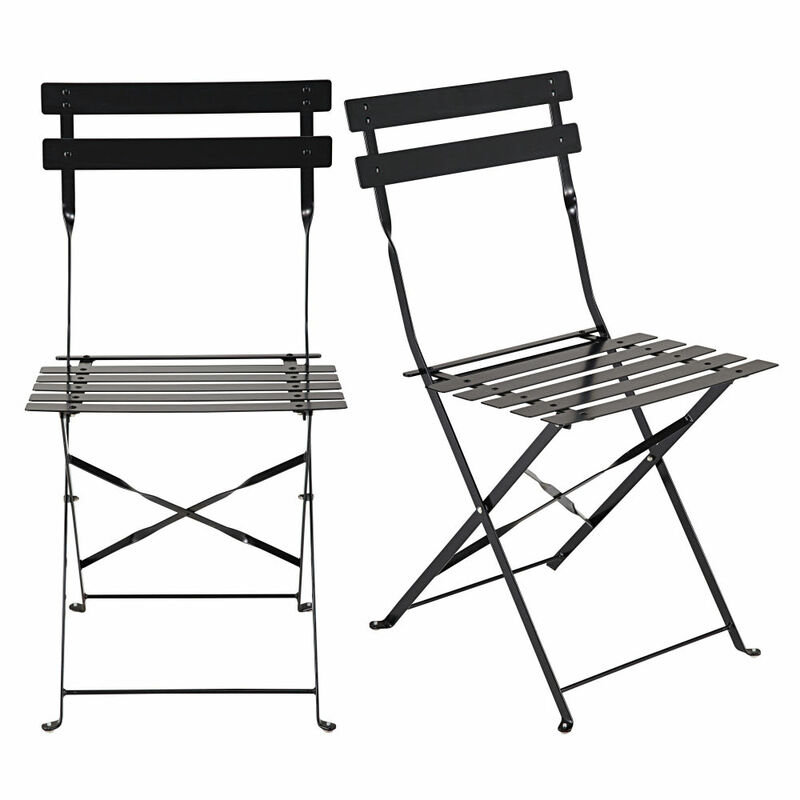 These glossy black folding chairs, which are delicate and light, are very practical and take up minimum space when stored away. 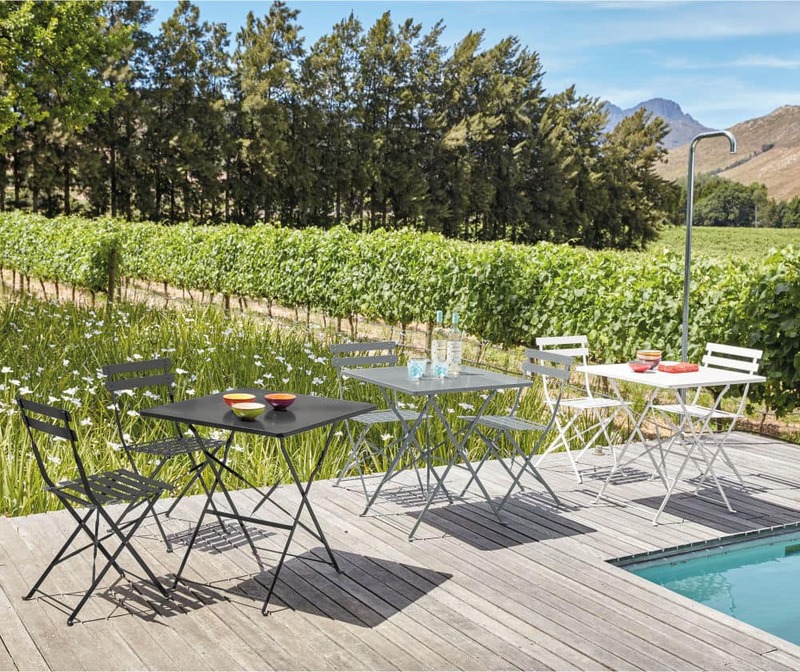 Suitable for a kitchen and for a small patio, the GUINGUETTE chairs are ideal for a modern, exotic, bohemian or more rustic look. 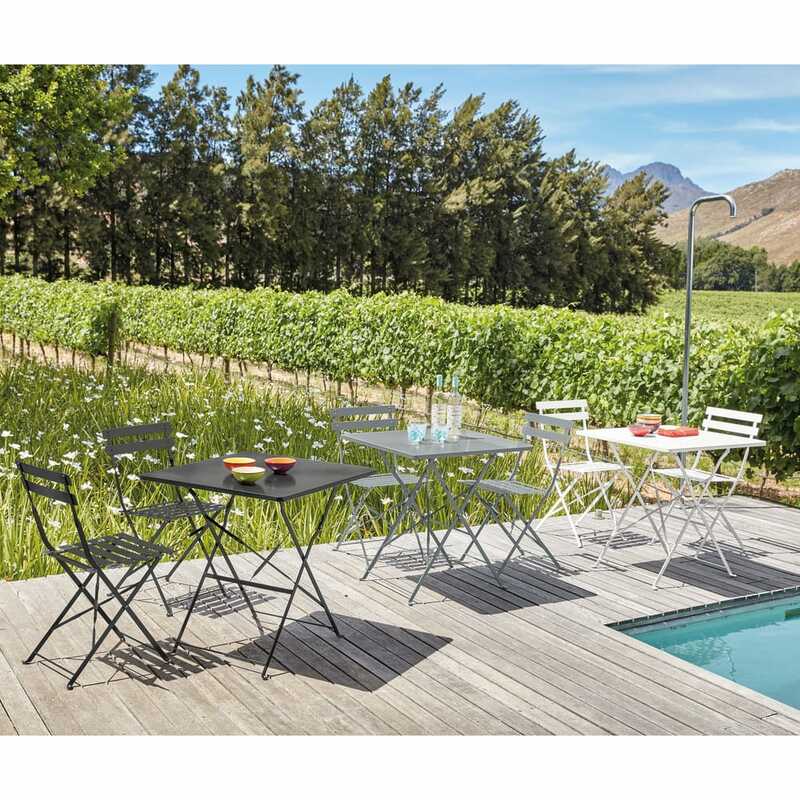 Why not buy a solid wood garden table to go with it?